The Samsung Galaxy S III is an outstanding handset, still showing great sales, and is a fully capable device by just about any measure. By Samsung’s device life-cycle though, it will be long in the tooth by the new year. 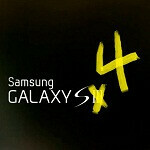 Enter the Samsung Galaxy S IV (or S4). Rumors about such a device have been in the ether, and today we learned that it will likely have a 4.99-inch Super AMOLED display. A Korean site is reporting that in addition to the fully HD 1920x1080 screen, we can expect to see it on display at CES 2013. Other sources are confirming that the new S4 will have a 13 megapixel camera, a quad-core 2GHz Exynos 5450 processor with an 8-core GPU, and 64GB of storage. Can you say power? The memory chip is said to be thinner, thus contributing to a reduction in the thickness of the overall phone as well. If expectations are met and we get to see this new device at CES 2013 (or hopefully sooner if it leaks), then we can expect to see a release of the new Galaxy S4 to the masses sometime in the second quarter, about one year after the Galaxy S III made its debut. What do you think of those exciting specs? Just bring it on! No one wants to wait! +1 and this should have a battery same with what's on galaxy note 2, or else.. Even with that "rumoured" 8-core GPU and the other hardware speculation, PhoneArena will find some way to tear it to shreds when it compares it to the almighty teeny-tiny iPhone in those special PhoneArena "iPhone vs Everything" articles. I especially love it when they compare screen resolutions under a Hubble Microscope. Or, when they take an indisputably killer device like the Samsung Galaxy Note 2 and give it a review of "9" because they don't want to admit to the World that there is something on the market better than their Apple trash. @Cynipap999 OK fanboy but the next iphone will still out do your precious s4 just like how the iphone 5 out did the s3. In what world did the iPhone 5 outdo the SGS3. Not the real world, sport. I dont know why all those thumbs down are for??? I only said the truth which is everywhere in the media. Samsung is now a major corp. and have a very big fanbase but, that doesnt mean that we deny the truth saying that i5 is more powerfull than sgs3.. That is a FACT people I now own a GNote2 and sold my Sgs3 bec. It was lagging so much i couldnt stand it.. Fact too. More like bad acid trip. Hope he doesn't jump out of a window thinking he can fly. windows phone sux almost as bad as a windows pc but none of them phone OS (windows, apple, or android) are going anyplace they will continue to gladly take our money (to the tune of about 40 Billion dollars) with the "NEXT BIG THING"
why is he a iphone boy? its a fact.... still waiting for the iphone5 vs lumia 920 article.... guess PA wont do it coz the know they cant back the iphone to win -_-"
It next iphone won't outsell it though just like the s3 outsold the iphone 5. What were you on when you wrote this? what make's you think that the iphone 5 out-does the GS3. The GS3 has better EVERYTHING, processor, camera, screen and the OS especially. While you're using last year's hardware AND software, we'll have an all new look and feel of touchwiz that has astonished everyone ONCE AGAIN. The iPhone5 is an awesome device. . . . . . . . . . . . . . . . . . . . . . . ...to use as a doorstop. What's funny about your comment is that not only is it hated by almost everyone, but it is the most retarded comment I've ever seen. The iPhone 5 lost brutally to the Galaxy S3, you delusional iFag. And the iPhone 5S or 6 (probably 5S, cause we all know how much Apple loves milking a product as much as they can) will be so far behind the Galaxy S4, it won't even be worth looking at. While Apple's iPhone will be stuck forever with Apple's "Retina" marketing term, never to receive at least 720p HD, the Galaxy S IV will probably have 1080p HD. While the iPhone 5S will be lucky to finally get a quad core SoC (but will probably just get an updated dual core SoC), the Galaxy S IV will probably have the latest and greatest processor that will be available at the time. So, explain to me, in detail, how the next iPhone, what ever it will be called, is going to out do our precious S4 like how the iPhone 5 apparently outdid the S3, you delusional iFag. amen this is such a bias blog, bottom line just one's person opinion!!! @ comment #27 aka iTurdFTW Just like that massive upgrade difference you got from iPhone 4STD to iPhone 5?? iPhone 5 'out did S3'???? Yeah, right; that's why that iPhone is getting returned and people are replacing it with that 'out done' S3!